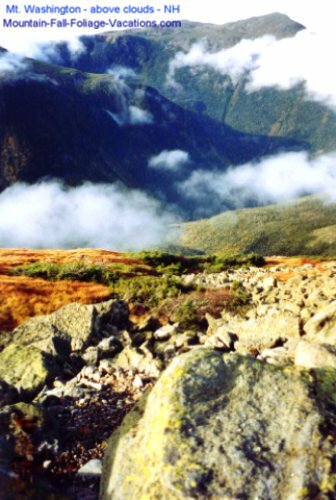 "Tips to help you Plan & Save + Pictures to help you Dream"
This page has some of our favorite New England Fall Foliage and Scenic Attraction pictures including the White Mountains and Lake Winnipesaukee + Mt Washington area attractions - plus a "taste" of the Pennsylvania Pocono Mountain Delaware Water Gap. There is some great Fall Color Viewing in these areas. There are printable Scenic New England Fall Foliage Vacation Picture choices, Screensavers, or Wallpapers selected from the ones already here and the many to come on this Mountain Fall Foliage Vacations Web Site. 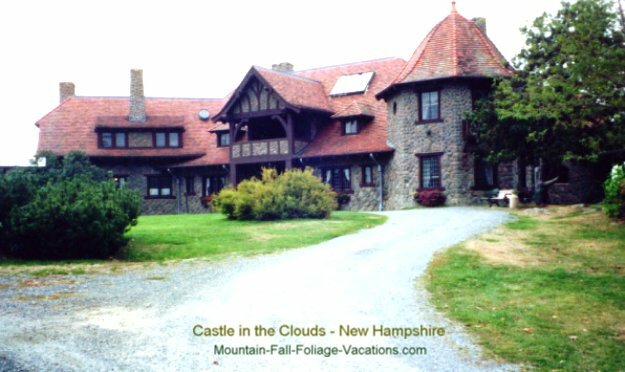 We ended up with some of our favorite New Hampshire Fall Foliage Vacation pictures and a scenic fall color Pennsylvania Pocono Mountain Vacations picture on this page. There is also a "High Resolution" Picture preview box below the pictures to preview over 90 available large 1 - 5 Meg file size non-watermarked versions of some of the selected popular pictures on this Web Site and our "sister" Memorable-Beach-Vacations Site. The New England Fall Foliage pictures below are set up to easily download into your Windows Desktop Wallpaper or Screensaver with mini-description image file names. Right click any Picture below for a Image Download Menu in most newer browsers. Be patient - Large New England Fall Foliage Vacation pictures on this page may cause pictures toward the bottom to load slow for some on slow connections. Preview & download large 2+ meg printable non-watermarked file version of this picture and over 35 others at the "Thumbnail"
Mt. Washington Hotel Resort from the highway over 1/2 mile away. More details on the Mt Washington Resort Hotel plus the surrounding White Mountain area Attractions and "Must See's" on our New Hampshire Mt Washington Hotel - Resort Attraction page. 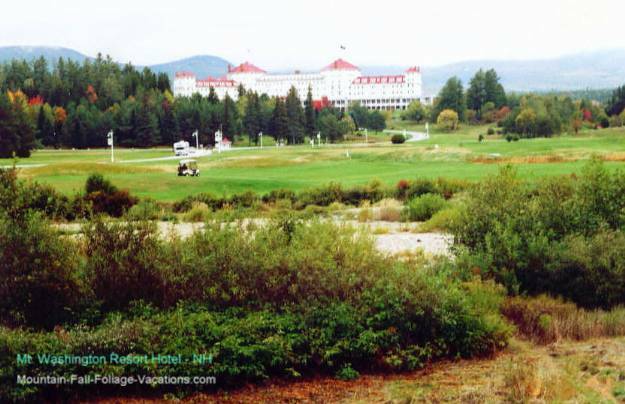 Share your experiences at the Historic Mt Washington Resort Hotel with a User "Rave, Rant, or Review" near the bottom of our New Hampshire Attraction Listing Page. You can view Reviews others have posted. The Picture below is not a New England Fall Foliage Picture, but we put it here anyway to give you a "taste" of the beautiful Pennsylvania Pocono Mountains Fall Foliage - link below. 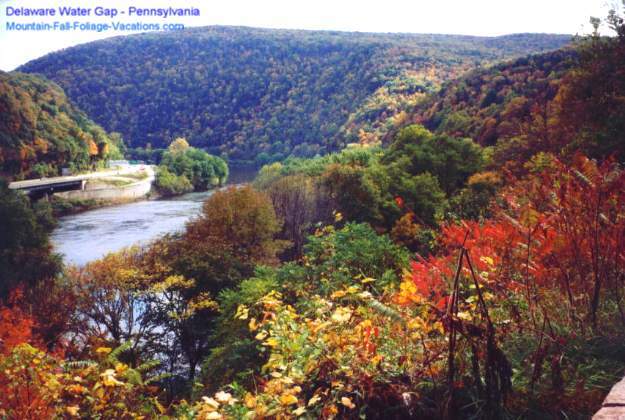 Great Pennsylvania Pocono Mountain Vacations destination! 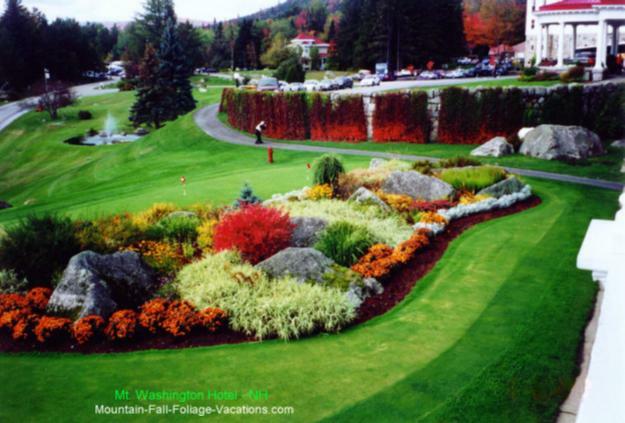 More information on this beautiful Mountain Fall Foliage Vacation area on our Pennsylvania Pocono Mountains Fall Foliage Vacations, Attractions, & "Must See" Day Trips page. 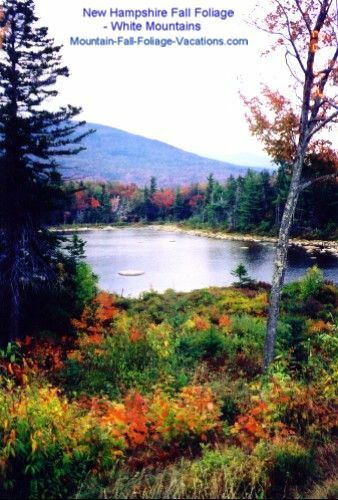 To New England Fall Foliage "Must See's" page with detailed comments and "reviews" of New England Fall Scenic Attractions, Points of Interest, and Scenic Foliage Viewing Road Trips + small versions of pictures above. Large High Resolution Photo Favorites from our now 4 Affordable US Vacation Guide Sites! 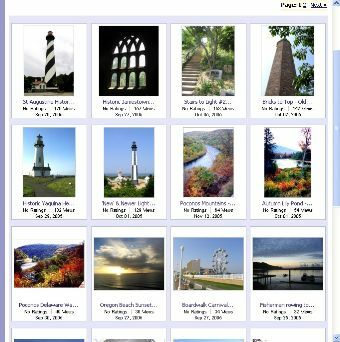 View a popular selection of over 35 Thumbnail Images of High Resolution Favorites from our 4 Vacation Guide Site Photos. You can preview High Resolution approximately 1 - 5 Meg Image size Non-Watermarked Pictures from this site and our "sister" Memorable-Beach-Vacations.com Site + NebraskaTravels.com site which are now available for free preview and optional download in high resolution large Photo file size versions suitable for printing & framing. If you are a Photographer and would like to sell your Pictures online at a popular Photos Download Site, see Info at: Sell your Photos Online - You set your own Photo prices. Back to top of New England Fall Foliage Picture Album Wallpaper - Screensaver pictures on this page. -- and our additional upcoming New England Fall Foliage Picture Albums! Please send us any Comments or Suggestions you might have for this Site to us on our Comments, Suggestion, & Favorites Form. If you have any personal Fall Foliage Vacation Favorites or Pictures you would like to share, please send them using our Comments & Fall Vacation Favorites Form above. See the Thumbnail Photo Box above if you are interested in any High Resolution, Non-Watermarked, downloadable and printable suitable for framing or commercial use one to five Meg .jpg large image file versions of some of the Pictures above and several other of the favorite Photos on this site and our "sister" Go US Beaches Site above. Looking for something Specific? Search two of our US Vacation Guide Sites. To Mountain Fall Foliage Vacations Home Page - Affordable New England Fall Foliage Vacations - Including Pennsylvania and New Hampshire Fall Foliage Vacations.